The Colt 1911 semiautomatic pistol is an icon. If you were to show photos of an 1873 Peacemaker, a 1911 and a few other common handguns to your non-gun-savvy brother-in-law and asked if any guns were recognizable, chances are that he would point to the 1911 and say that he’d seen that one before, in war movies. My point is that there is a small, select group of guns whose reputations have grown exponentially over the years and are known by people who have never held one. The 1911 is one such gun. The Colt 1911 was the brainchild of respected gun designer John Moses Browning. Collaborating with Colt, he set about to make a sidearm to satisfy military requirements for the procurement of a self-loading .45 caliber pistol. The Ordnance Board was dissatisfied with the issue revolver cartridge of the time, the .38 Long Colt, which had proven to be ineffective in the Philippine-American war against Moro tribesmen. They wore “body armor” of tightly-wound grass around their torsos and were drug-influenced to not feel pain. The anemic .38 could not stop them. After temporarily re-issuing the tried and true .45 Colt Peacemaker, the Ordnance Board was looking for a better gun, a more permanent solution. So, in 1904, Gen. John Thompson (designer of the later “Tommy Gun”) and Medical Corps Major Louis LeGarde conducted tests to find a cartridge that would prove to be an effective stopper… they arrived at a bullet that “should not be of less than .45 caliber” as the best (at that time) stopper. A self-loading semiautomatic pistol was the preferred choice – not a revolver. 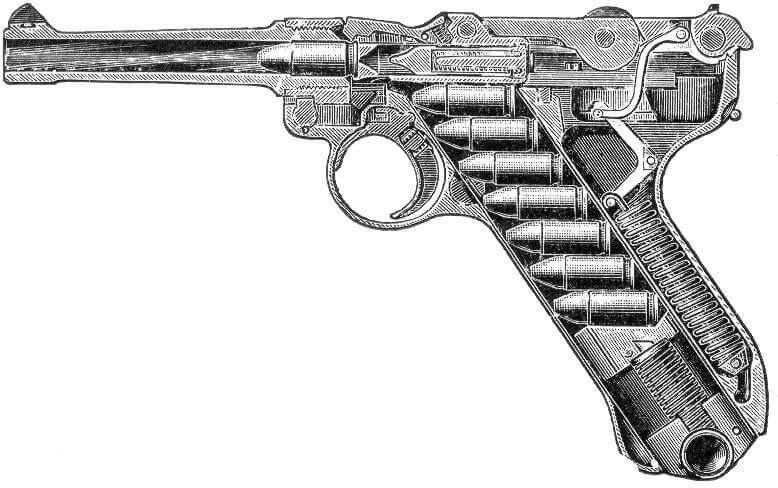 RFPs were issued to the arms industry for such a gun/cartridge combination. Several guns were submitted, including a Savage, a Colt and (strangely enough) a German DWM P08 Luger in .45 caliber. After re-submission of refined designs, only the Savage and the Colt were left in the ring. One of the final, deciding tests consisted of both pistols firing 6,000 rounds over two days. The Colt got so hot that they cooled it by dunking it in water several times and had zero malfunctions; the Savage had 37. (DWM had dropped out of the testing). The winner was the military-designated “Model of 1911” Colt pistol, formally adopted on March 29, 1911. Later shortened to M1911, it was (is) the basic pistol that we are familiar with today. Having stood the test of time, the pistol was in active issue to our military for 74 years. But, when faced with a growing inventory of shot-out guns (coupled with pressure from NATO to adopt their 9mm cartridge), the old M1911 warhorse was phased out and replaced by the Beretta M9 in 1985. It is interesting to note that some military branches, including the Marines, still use 1911s in one form or other for special ops. But, for all the rest of our military, the M9 was the issue sidearm. The M9 served 32 years until it was replaced by two military versions of the Sig-Sauer P320: the M17 (full-size) and the M18 (compact) models. Ol’ Slabsides still holds the record for the longest active-duty service span for a sidearm in the U.S. It was also used by 27 other countries. “The best 1911 for the money”. That describes a lot of guns, to be sure! Let’s narrow it down…first, we’ll talk about only .45 ACP caliber guns. The 9mm is enjoying huge growth in 1911 sales; many of the guns I’m writing about are available in that caliber. 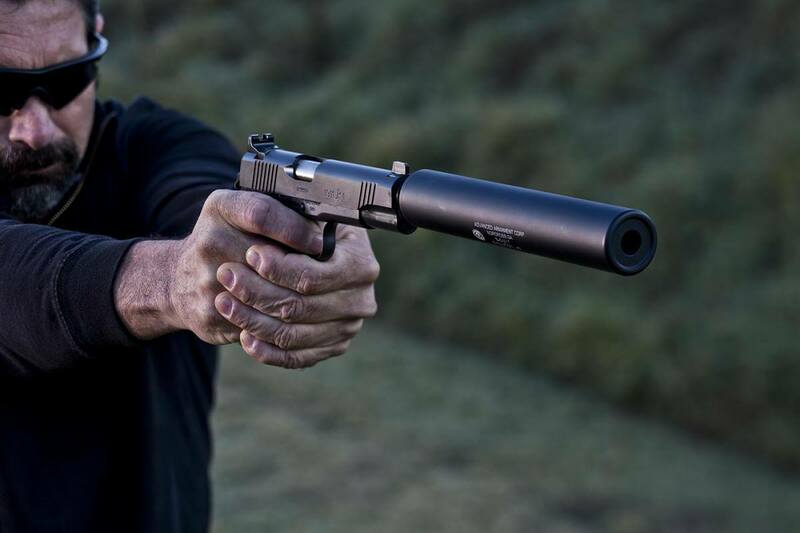 Another caliber that is growing in the 1911 arena is the 10mm (10mm vs .45 ACP Comparison). But we’ll restrict our overview to .45 ACP guns. If you want to learn more about different cartridges, I recommend reading my Handgun Caliber Guide. How do we define the “best for the money?” My guidelines for that category are simple. I will list guns that are well-built, reliable and affordable by most shooters. Good customer service will be considered as well. The list of high-end production- and custom-built 1911s is long. They are works of art, things of beauty, but some of them don’t offer any more reliability and accuracy than a lot of moderately-priced off-the-shelf guns. It is easy to spend $3000 or more on a custom-built gun, but for most of our needs, the moderately-priced guns will suffice nicely. Am I saying that I would turn down a Wilson Combat CQB with is base price of $2895? Not hardly – I’d love to own one. But my gun world revolves around a lesser-expensive sun. If you are on a strict budget, you might also be interested in my Best Budget 1911’s article. One more thing before we start describing guns. The list of specifications I will include may not seem overly detailed. Let’s face it…one standard-size 1911 will be pretty much the same size as another, with small exceptions. If you can shoot one, you can pretty well shoot most others, given some leeway. Sure, there may be differences in trigger reach, trigger pull, sights, etc. but by and large one 1911 grip frame will feel about like another. This standardization is what 1911 aficionados count on, what makes shooting one of these great guns feel as familiar as your bedroom slippers. There’s something to be said for uniformity of design and manufacture. All of these guns are full-size, with five inch barrels. Most all can be had in Commander (4.0 – 4.25 inch barrel) and Officer lengths (3.0 – 3.5 inch barrel). We will limit our discussion to full-sized models. My first choice for an affordable 1911 are those made by Rock Island Armory, or RIA as it is known. RIA makes some of the very best pistols for the dollar-I know because I’ve owned two of them, a compact and a full-size. Rock Island Armory is owned by Armscor (Arms Corporation of the Philippines, renamed Armscor Global Defense, Inc. in 2017). The company is a descendant of the Squires & Bingham Company, founded in 1905. The company was bought by the Philippine-based Tuason family in 1941; in 1952 they started producing firearms. The company has grown; they now produce over 200,000 firearms and 420 million rounds of ammunition annually. Their reputation has been, and continues to be, enhanced by their handgun production. This includes most notably their 1911 series. 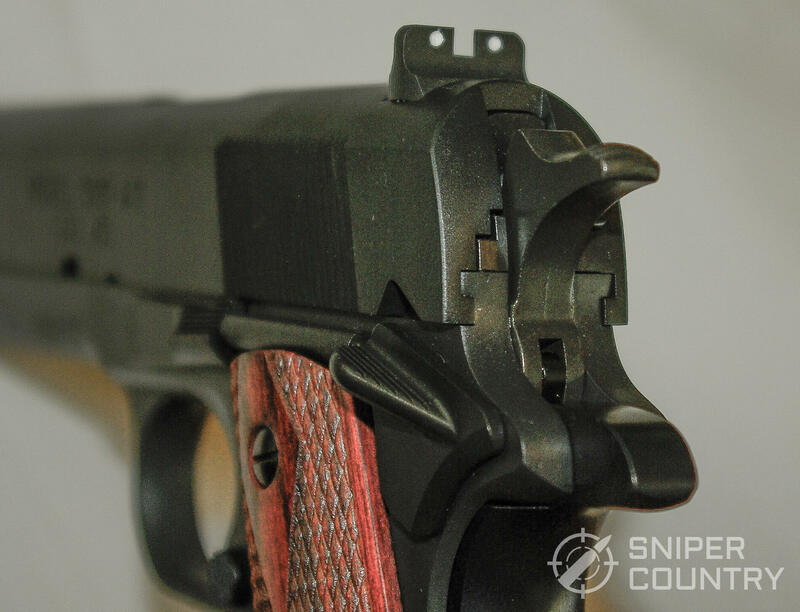 A well-built gun backed by some of the best customer service in the industry, RIA 1911s have earned a very good reputation among shooters. I have owned two RIA 1911s – a compact 1911 three-inch carry gun and a full-size Citadel model with a five-inch barrel. The guns themselves were Parkerized so they were fairly impervious to minor wear. Shiny blue or stainless they were not, but a shiny finish is often not needed nor desired. (RIA does make those finishes if you’re interested in them). The original 1911 utilized a short-recoil tilting-barrel Browning action that fairly well needed a five-inch barrel in order to work well. The same type of action is used today in 1911s, with some variations where needed that allow it to function in compact models as well. Why do I mention compact 1911s when we are discussing full-size ones? Having owned a few other full-size 1911s over the years and having shot some “shorties”, I do know that crafting a three-point-something-inch-barrelled gun that functions properly can be tricky. 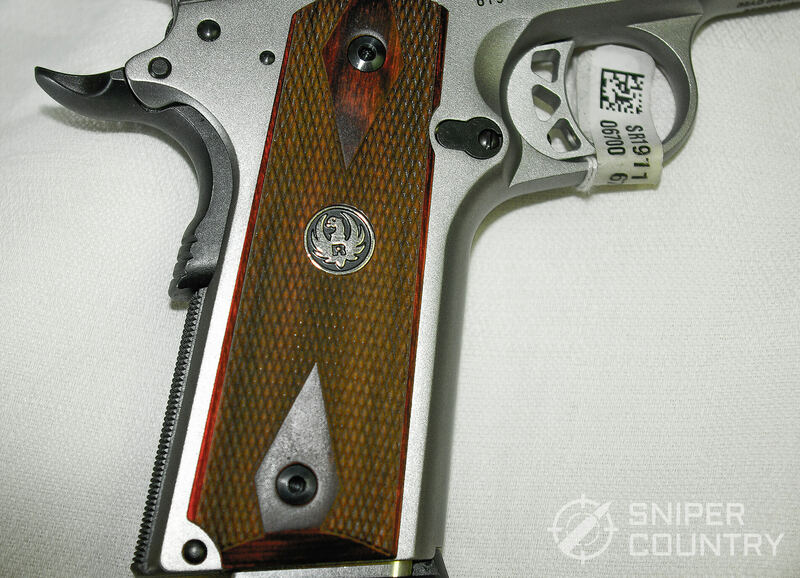 I mention compacts simply to show how well RIA designs and builds their 1911s, even the hard-to-feed compact models. If they can get those right, the full-size models are certain to function well. With RIA, your choices in 1911s are many and varied, whether you’re looking for a compact (Officer), medium (Commander) or a full-size (Government) model. RIA is one of the largest producers of 1911s in the world…that says a lot about their designs and production. The standard full-size 1911 produced by Rock Island Armory is a feature-packed gun, but you might have a little trouble deciding upon which one to buy. After perusing RIA website’s Rock Standard page (one of the seven categories mentioned), I saw no fewer than sixteen models to choose from, offering all sorts of features at varied price points, barrel lengths, options, etc. I have chosen one model, the standard full-size pistol (model number 51431), to feature. A couple of items of note – in terms of shootability, the RIA Standard’s trigger breaks right around 4.5-5 pounds which helps make for an accurate gun. Controls (safeties, slide stop, magazine release) all work very positively. 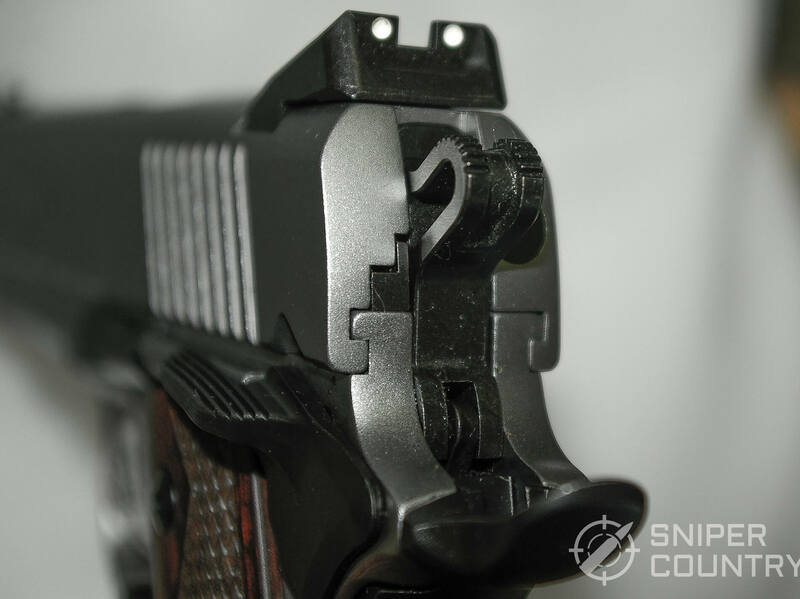 The Novak-style sights are a joy to use. 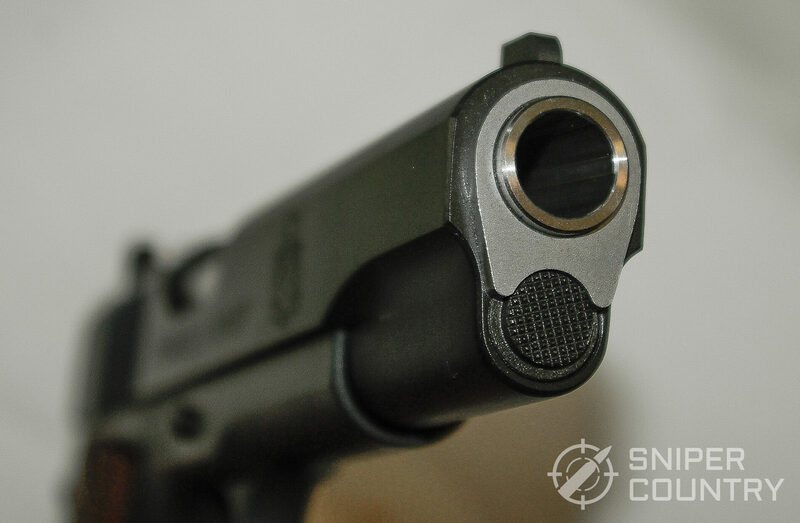 Speaking of sights – the front post on a RIA 1911 is not too wide, which allows more light on both sides as you line it up with the rear sight. This is how the best target guns are set up. The Rock Standard is a well-made, accurate gun. A final thought about RIA… you must experience their customer service to appreciate it. The compact model I purchased was advertised as having an ambidextrous safety. It didn’t. I was a bit disappointed upon opening the box. One call to RIA’s representative Ivan in Pahrump, Nevada solved the problem. He not only sent me the proper safety to install, he also sent an extra recoil spring and various pieces of promotional clothing, etc. I received this about 3 days after my call. Needless to say, I was impressed! Other gun companies could learn from RIA’s example. 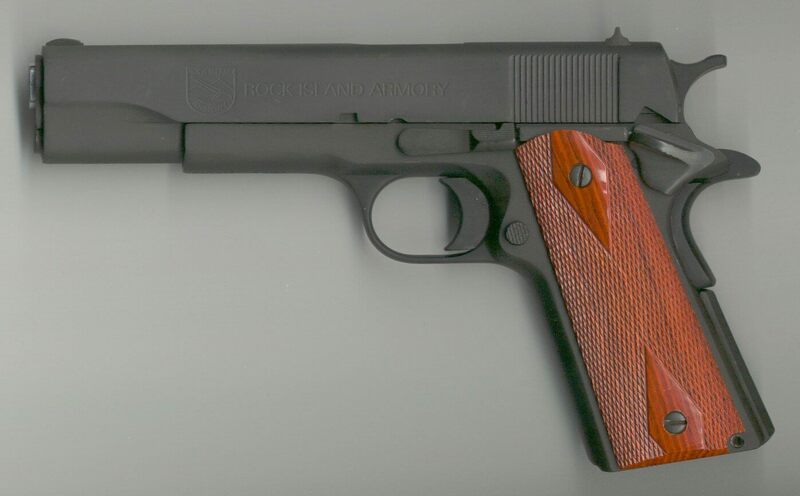 You could sure do worse, for your dollar, than to end up with a Rock Island Armory 1911. Look for a street price of under $500 for this pistol. It’s a Ruger. For some people, that’s all they need to know. 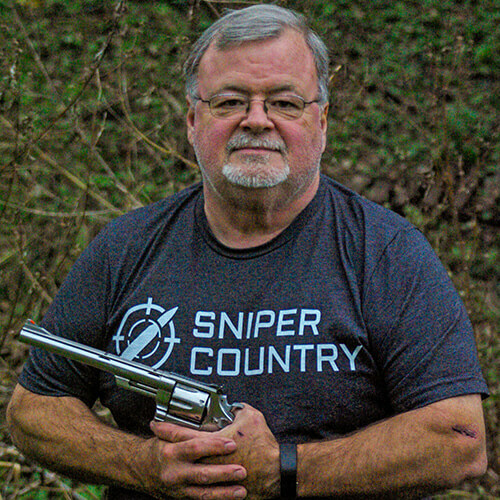 Ruger has been building semiauto pistols since Bill Ruger looked at design aspects of the Japanese Nambu and the German Luger pistols when he designed and then started producing his new pistol, the Mk. I Standard .22LR autoloader in 1949. Ruger guns tend to be overbuilt, which endears them to volume shooters and those handloaders who can’t seem to know where to draw the line on powder charges. I have owned several Ruger autoloaders and have always been impressed with their construction, accuracy and customer service. I owned both models of the Ruger .45 ACP American, the compact and the full-size. Though they were not 1911s, parallels can be drawn in terms of quality of build, toughness, ergonomics, etc. The Ruger 1911s I’ve handled felt like they were not built on a Friday by workers ready for the weekend…they were solid mid-week guns. No “shaky-breaky” sounds when rattled; not one dimension out of tolerance. The SR1911 evokes a memory of a 1911 that belonged to my friend Mitch’s dad. Ray was a collector and could have pretty much any gun he wanted. His most-often-shot 1911 was a Gold Cup that he had tinkered with a bit and was the finest example of John Browning’s .45 auto masterpiece that I had experienced up to that time in my life. My memories include Ray letting me shoot that pistol at the range and how I considered that particular gun an example of metallic perfection. 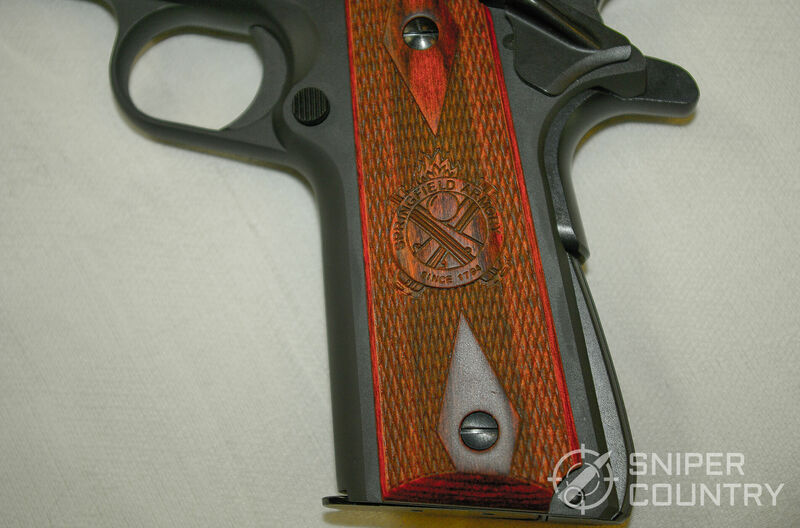 That’s what the SR1911 reminds me of…craftsmanship from a bygone era. Bright stainless steel with beautiful figured-hardwood grip panels, highly-visible sights and solid controls exactly where they should be…this 1911 is a keeper. It is a handsome gun, for sure. Plus, they make a lot of them. At my last viewing of Ruger’s 1911 web pages, including distributor’s special editions, I counted sixteen different models of 1911s in .45 ACP, 9mm and 10mm. That’s a passel of pistols! 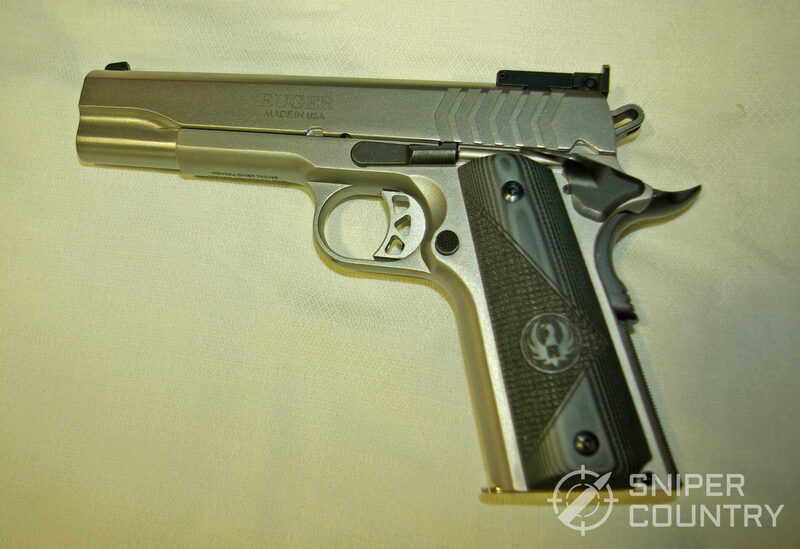 As with several of the 1911s we’re talking about, the SR1911 is based on the Series 70 design, not the Series 80. This can help the trigger pull, as parts were added to the Series 80 guns in an effort to, among other things, make them safer if dropped. 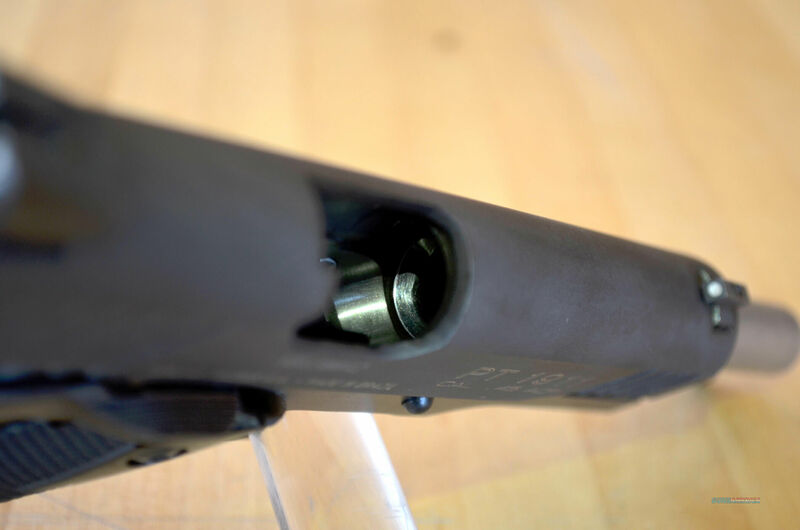 Along with other changes a firing pin safety was added which, according to some shooters, adversely affects the trigger pull. Some people think that the Series 70 pistols have a better, cleaner trigger than the Series 80 guns but I think it depends more on the individual gun. At any rate, Ruger’s 1911s are Series 70 guns. If you want a gun that your kids can pass down to THEIR kids, the SR1911 fills the bill. Count on a street price of around $200 off MSRP. Taurus is a company on the move. Headquartered in Brazil, the U.S. subsidiary is based in Miami and were exploring buying ground in Georgia to build a large manufacturing plant. Some small-frame guns are already made in the U.S. The company has come under new leadership which wishes to put negative experiences people have (or have had) with Taurus in the past. They want to regain the shooting community’s confidence. Mine was accurate and digested my handloads without complaint. The ambidextrous safety worked as advertised, and the full-length guide rod was a feature that some other guns don’t have. 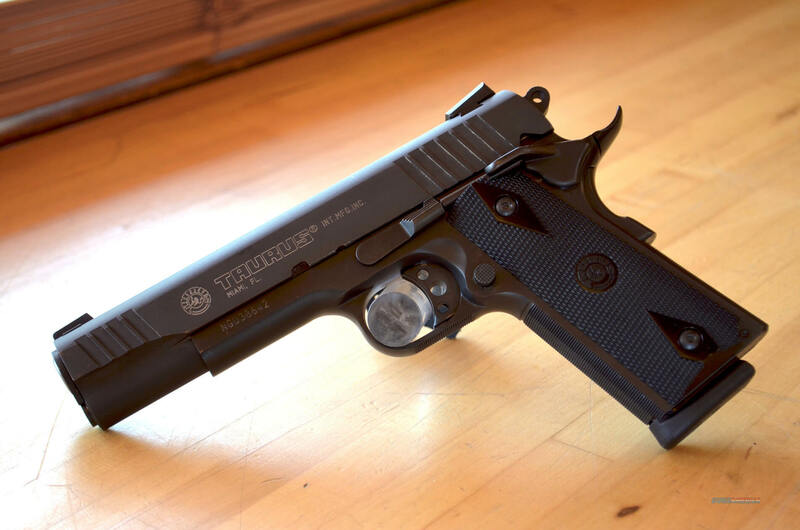 My PT 1911 was just one of several Taurus semiautos I have owned or currently own. It was solidly built, had good sights and included a trigger that allowed you to be accurate at fifty yards (with the right ammo). I don’t think you can ask for much more than that from a $450 gun. Big Green, as the company is called, is probably more famous for their shotguns than other types of firearms but their history with handguns goes back a long way. 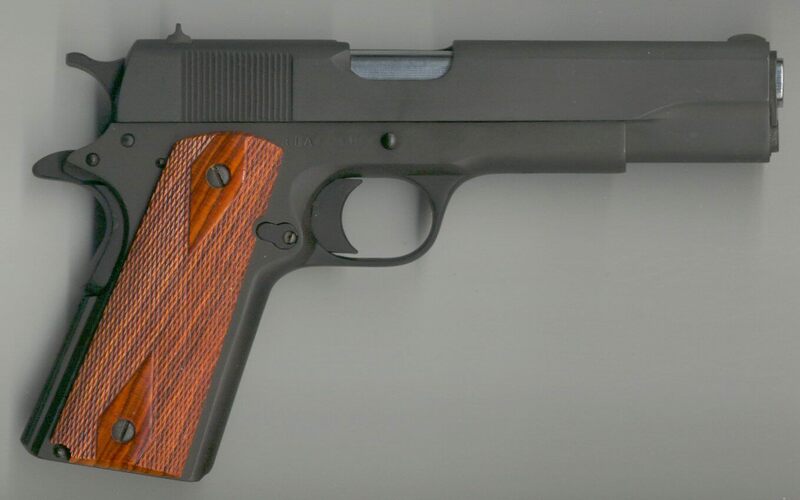 Remington was the first gun company to help Colt manufacture M1911s during WWI, as Colt could not make the numbers of guns that our military required, so it sub-contracted out to other companies. Remington has had some issues with their semiauto pistols over the years. The small R51, originally introduced as the Remington-Pederson R51 in .32 and .380 ACP, was made from 1918-1927. It was updated and re-introduced, in 9mm, as the R51 in January 2014. After hitting some bumps in the production road, manufacture was stopped in July 2014 to address issues. Revised pistols started shipping in June, 2016. Why mention the R51? It seems that many shooters had, by word of mouth, written off Remington’s semiauto pistol production as dead and buried because of it. Big Green is a company making a comeback. Remington was purchased by the Freedom Group (later renamed the Remington Outdoor Company) in 2007. Debts piled up and eventually led to filing for Chapter 11 bankruptcy protection in March, 2018 only to emerge from that situation just two months later in May of that year. They are striving to regain the reputation that they once had and are making an honest effort to do so. The R1 series of 1911s is testimony to the fact that Big Green still knows how to make a pistol. 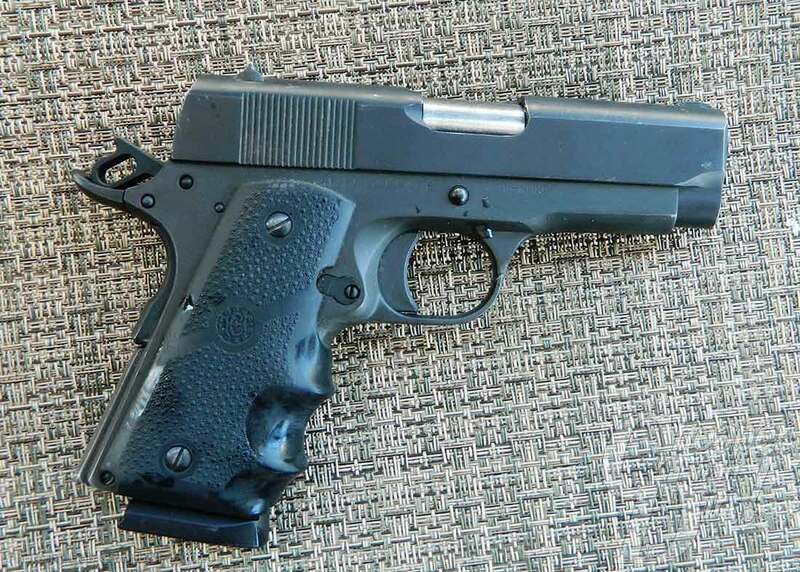 After ceasing production of 1911s in 1918, Remington re-introduced a modern 1911 version called the R1 in 2010. Combining their prior knowledge of how to make 1911s that work alongside modern manufacturing methods and materials, it was only a matter of time before the R1 was recognized as one of the best buys in the crowded 1911 field. There is more than one version of the R1. Variants include a lesser-expensive gun without adjustable sights; a carry gun; fancier, engraved editions; and memorial guns such as the Centennial. We will concentrate on the R1 Enhanced. This R1 is a .45 that is a “do-everything” gun. It has everything needed for a well-made functional 1911. Being only an inch and a quarter wide, it would fit nicely in an IWB holster, or on your belt for that matter. If you feel it’s a little large for concealed carry, here’s another use: competition. 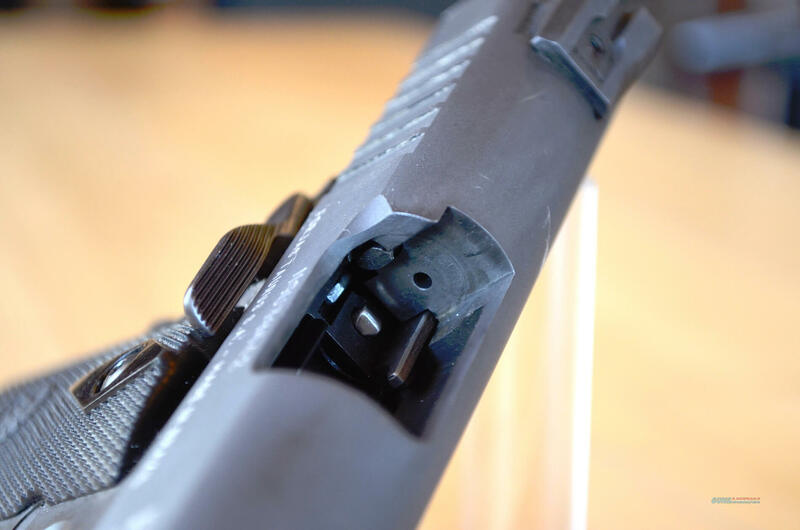 The fiber optic front sight coupled with the fully-adjustable rear sight would allow this gun to be zeroed for use with different loads in different competitions. Finally, it would sit quietly in a nightstand drawer until pressed into action. No matter how you use it, the R1 will perform its duties in solid fashion. You can expect a real-world price around $640. How can we not look at a new pistol modeled after the original G.I. 1911A1? 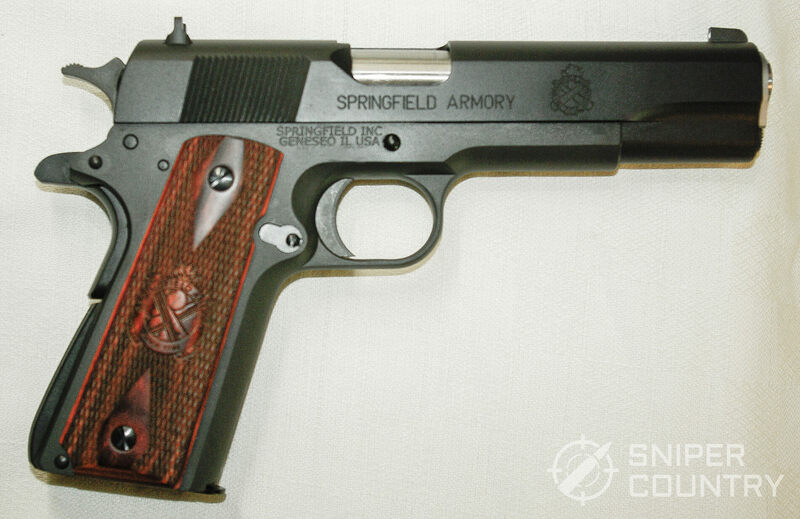 The Springfield Mil-Spec 1911 is one such gun. At first glance, it brings the M1991A1 to mind (excepting the fancy grip panels and higher sights). Springfield makes some great guns and this one is no exception. Other differences are on the inside. To be sure, this is a modern Series 70 autoloader. It is built for those who want a military-spec gun, a piece of history that they can shoot. As with the original, there is no ambidextrous safety but that shouldn’t be a deal-breaker. This is a gun that you could take to the range or keep in your nightstand. It would ride nicely in your truck’s glove compartment as well. Springfield 1911s have a feeling all their own when you place one in your hand. These are rock-solid guns. You know you are holding a piece of quality workmanship, and the Mil-Spec is no exception. The gun ships, like the original, with 7-round magazines but if you like, the Chip McCormack 8-round Power Mags should work if you want to raise the capacity. The grips feel great and are fairly “sticky” for wood panels. Of course, they are replaceable so if you are not a traditional wood grip fan, you can change them. 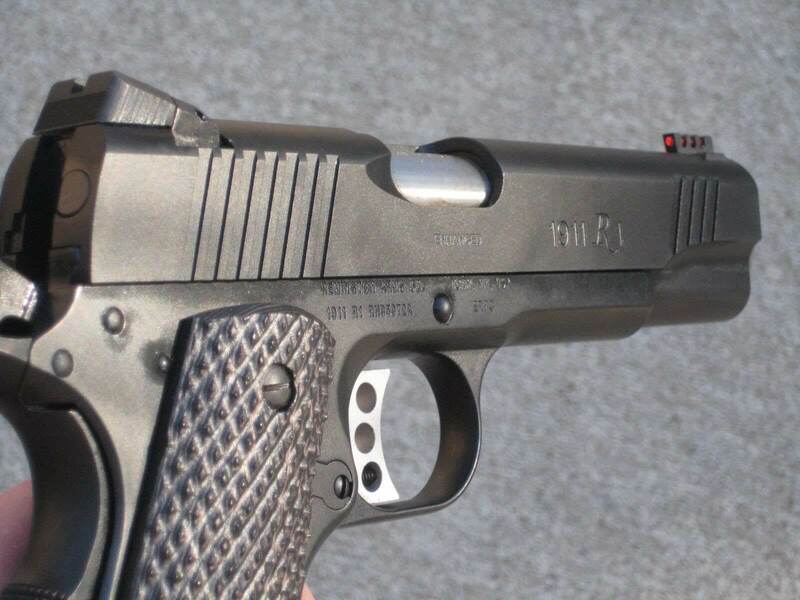 The Mil-Spec 1911 is a very good buy; it becomes even better when you figure in a real-world price of around $480-$500. We’ve looked at a few 1911s that I consider best buys for the money. We have not examined the custom or high-end production models, as this article was to address a few lesser-expensive guns. 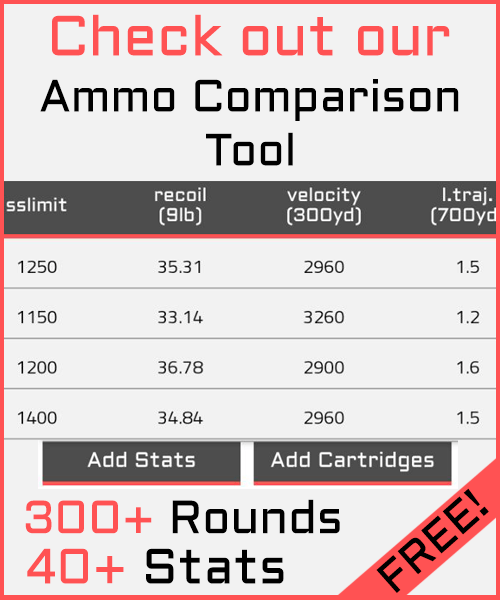 If you are on a budget but want to own the granddaddy of all American self-loading .45s, then one of the above guns should be on your radar. I know from personal experience that you can buy a budget-priced 1911 and have one fine, reliable gun…I’ve owned several lesser-expensive 1911s that worked well. If Ol’ Slabsides is calling your name, the above guns are a great way to start your search!